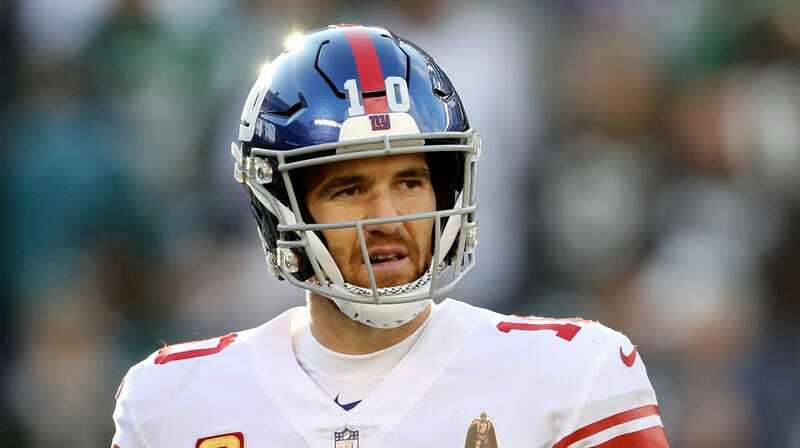 The putative news from Eli Manning’s appearance Wednesday on a panel discussion about brain injuries is that the Giants QB declared Odell Beckham Jr. to be the most talented player he’s ever played with. This is not “news,” as such, because: no duh. It also wasn’t the most interesting thing Manning said during the discussion. Manning said [Philadelphia] is his most challenging road venue. In most places, young fans of the opposing team still are happy to meet a visiting NFL player. I recognize that Eli Manning is a nice, gentle-souled boy whose idea of a good time is going antiquing with mother. But I am still impressed/horrified that his swear vocabulary apparently does not rise to the level of a pre-adolescent Philadelphian. So, I have to ask: What do you think the kid said? And does it make it funnier if the swear was really obscure or if it was really basic?